Jailbreakers have been tearing their hair out to get Eclipse working. Thankfully, a user uploaded all its dependencies and it now works perfectly. Here’s how you can install this dark mode tweak on your iPhone, iPad, or iPod touch. Why isn’t Eclipse working on iOS 11? Eclipse X is fully compatible with iOS 11-11.1.2 firmware yet it doesn’t work. The reason behind this is that its dependencies are missing and there’s no way to install them without Cydia. For the uninitiated, dependencies are critical files that must be present on your device in order for a tweak to work. If your device is missing these files, the tweak that depends on them will not work properly. Here’s a video demonstration of this jailbreak tweak running on an iPhone X on iOS 11. Some users even managed to get it working on their devices. However, none of them uploaded the necessary files and decided to keep it for themselves. Thankfully, a jailbreak community member, Ando Toomejõe, was kind enough to provide all the prerequisite files for us. Here’s the list of files that you require beforehand. You can download these files below and get cracking. Warning – This tutorial is only for advanced users. I suggest waiting for an automatic tweak installer tool. Step 1 Download and install FilzaEscaped file manager for iOS 11 on your device. Test it out by opening it from your home screen. Step 2 Download Eclipse X from this link. Step 3 Extract the archive and install it by following this tutorial. Be sure to transfer tweak data (Activator and Switches) to the root /Library folder only, not to bootstrap/Library. The tweak files are now ready and you can move onto installing the dependencies. Step 4 Download the following files and the Debian package. Step 5 Transfer libcolorpicker.dylib to /usr/lib. Step 6 Transfer the com.gmoran.eclipse.plist (configuration file) to /var/mobile/library/preferences. Step 7 Extract the Debian archive of AppList and transfer the following files to the following locations. You must be very careful here and ensure every file goes to the right location only. Navigate to \Library\MobileSubstrate\DynamicLibraries\ and transfer AppList.plist into /bootstrap/Library/SBInject. Navigate to \System\Library\PreferenceBundles\ and transfer AppList.bundle into /System/Library/PreferenceBundles. Navigate to \usr\lib\ and transfer libapplist.dylib into /usr/lib. Navigate to \usr\ and transfer the entire include folder into /usr. Step 8 Respring your device using any of the following methods. Restarting Springboard via Anemone is easy to do and I suggest beginners take this route. You can also use any application given here. If you are interested in the SSH method, you can use the iTerminal app and enter this command – “killall SpringBoard”. Only advanced users should try this method. That’s pretty much it. Eclipse X will now start working properly on your Apple device. If you still can’t get it working, just leave a comment below. 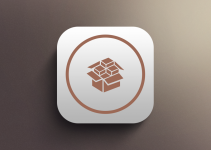 For more Cydia tweaks and downloads, follow us on Facebook and Twitter. I don’t have a /bootstrap folder. Also I I’ve replaced the libcolore and other file as Iv already had them is that good? 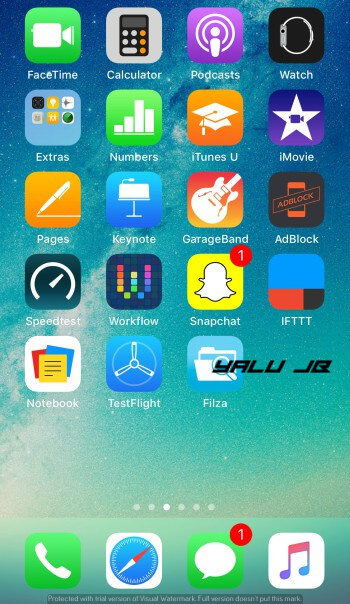 You can now install this tweak directly from Cydia. There’s no need to do anything with the bootstrap folder. Followed step by step, but still not working. I had it working before, but it just stopped working when I opened my phone this morning. I followed these steps carefully, but it is still not working. Did you remove the existing files? Also, is your device in jailbreak mode? Yes, I removed the old files and put brand new while following this guide. And yes, my device is jailbroken as I have many tweaks running right now. FIXED*** Download link is outdated. Beta 5 is deactivated and beta 6 will work until the 27th. Yes, I have updated the list with the new link. The dark mode will be applied automatically. You can check out its Settings section from the stock Settings app. It’s a demo version, not the full version so many apps will not work. 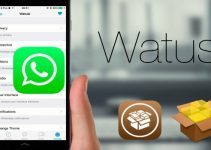 how to install bytafont 3 on iOS 11? any solution for it ??? Hi, how can i disable Eclipse X? i uncheck enable on eclipse setting and respring but nothing happens. Delete it from your filesystem. You need to do that with ZipApp. Everything on my phone worked with eclipse x except for my gmail it didn’t turn the color what do I do ? It’s a bit buggy so wait for the full version, which will drop sometime in February. That’s the older version in the video. So I got Eclipse X on my device and it’s there but it’s just not working. I have it on but it’s not doing anything. Did you update beta versions in between? Did you remove the older Eclipse 4 files? for installing eclipse x should i first remove all the files and dependencies of eclipse 4 because some files have same name. or is it fin just replacing same name files and adding x’s files. Just replace eclipse files, all other files don’t require replacement. Are there any way, that works anchor using this method? Install dependencis of anchor. I don’t know its dependencies. now if it works correctly. Hey so I got eclipse working on my 7 plus one thing I didn’t do was the last part which was transfer the include folder to urs because when I went to paste it asked do I want to replace or name it and I didn’t know what to do so I left it alone… do I replace it ? Use Eclipse X, the new working version. Welcome, mate. Glad you like my posts. I followed all steps and works but option called “enable applications” is empty, does this option work? is because this tweak is not full compatible on iOS 11? Or did I do something wrong? I did the same thing and the reason night mode still exists is because you forgot to delete a package. So go back into Filza and make sure you removed the package entirely. Is Eclipse system wide? I only got it to work in settings. change the eclipse_Settings.bundle sticky permission to 0777. Everything works perfectly now. After I tried this my iphone 6 is stuck on boot logo..tried everything DFU mode, recovery mode and release…it does not load up..tried the column up button for safe mode as well….nothing works.. Which files did you install? Is it working in the Settings? I have the same problem. Any way to fix it? Thanks! Becaus its note system wide. Wait for the updates. If you can open the settings you are ok .